A variety of bite-sized chewy candies with a colorful candy shell, Skittles have been enjoyed for decades. 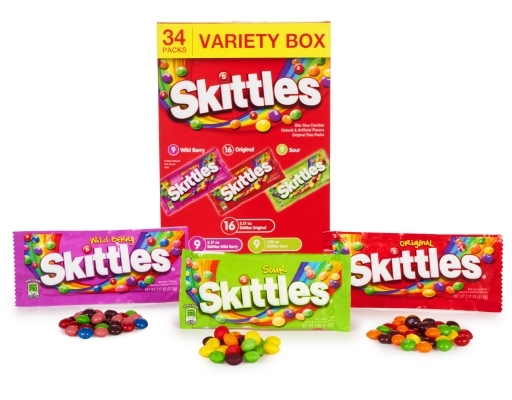 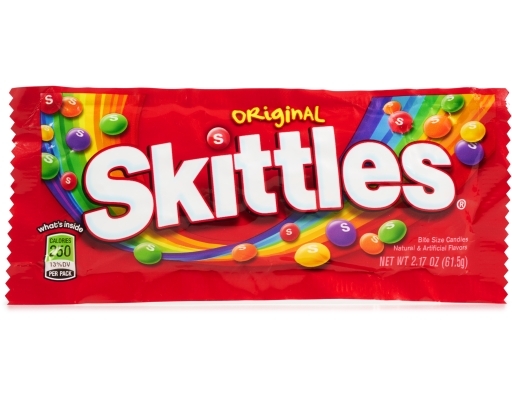 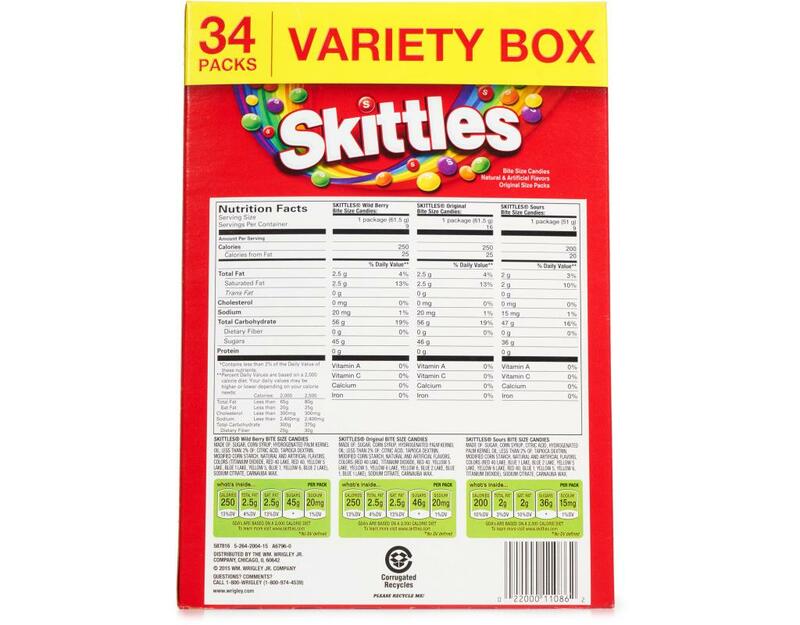 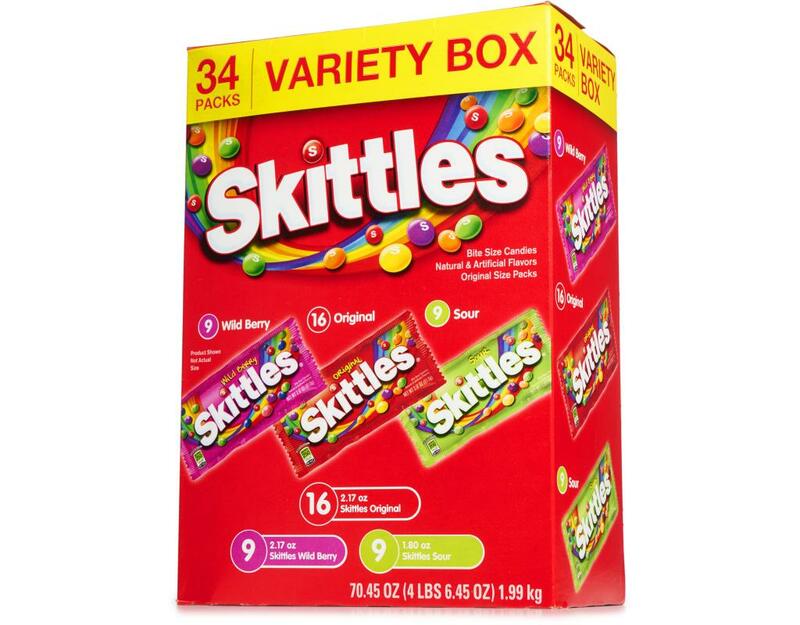 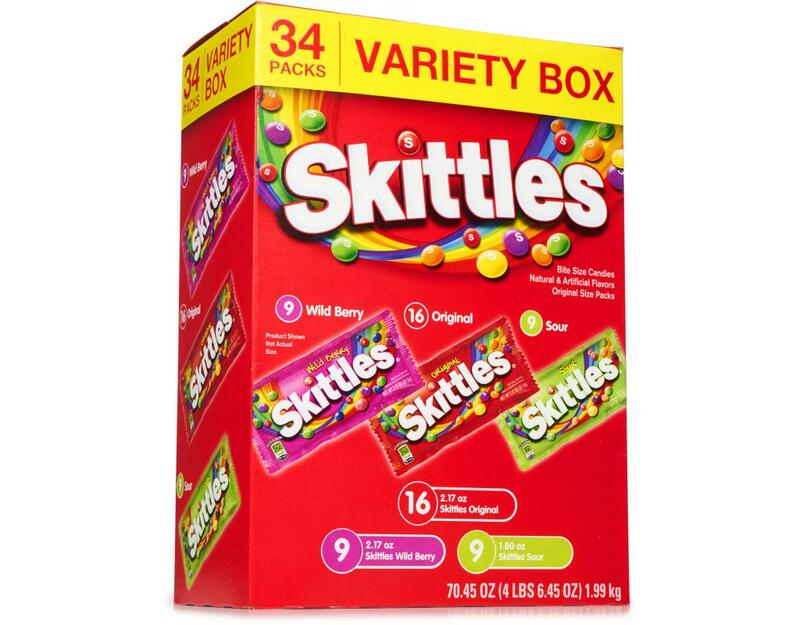 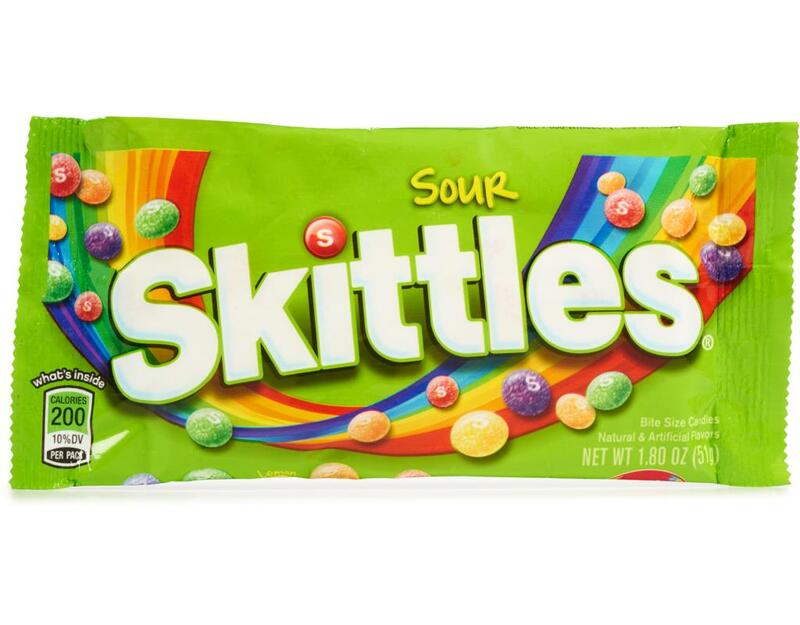 Today, over 200 million Skittles candies are produced on a daily basis. 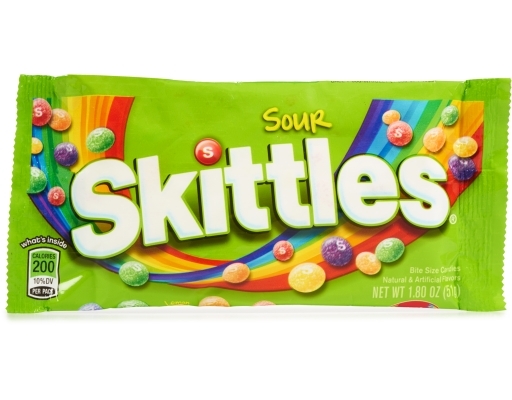 Skittles bite-sized chewy lollies with a colorful crispy shell, have been allowing fans to 'Taste The Rainbow' since the 1980's. 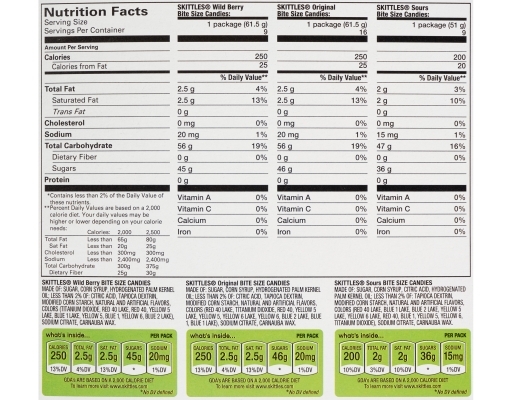 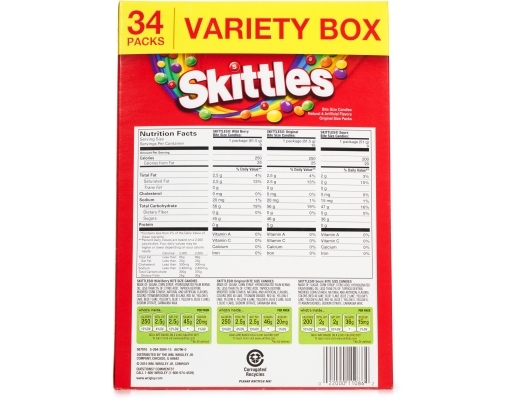 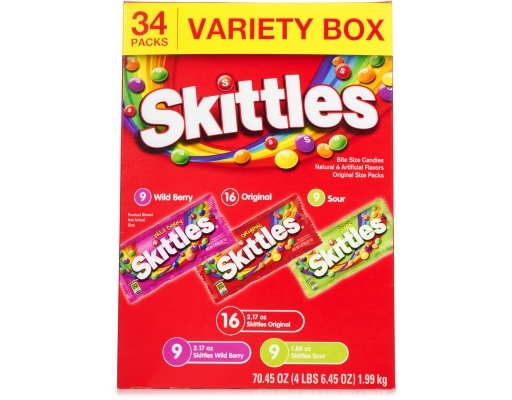 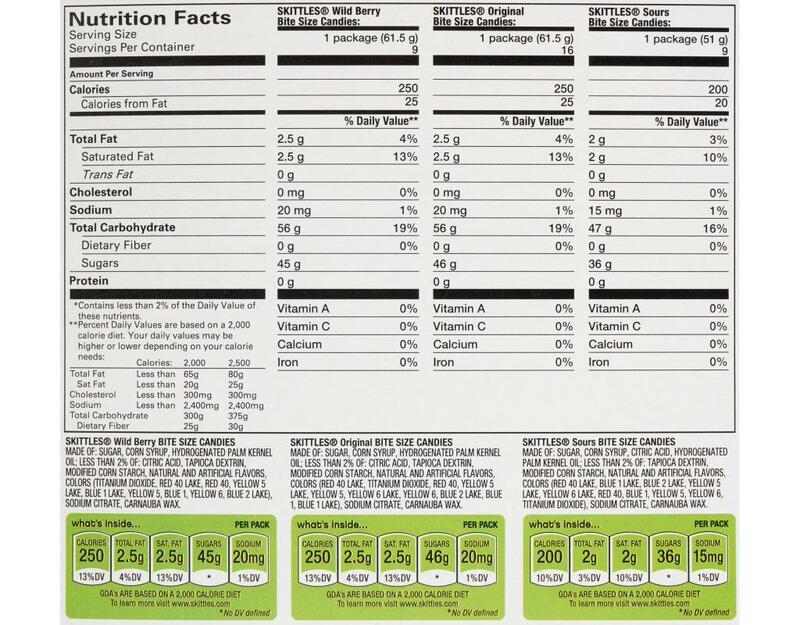 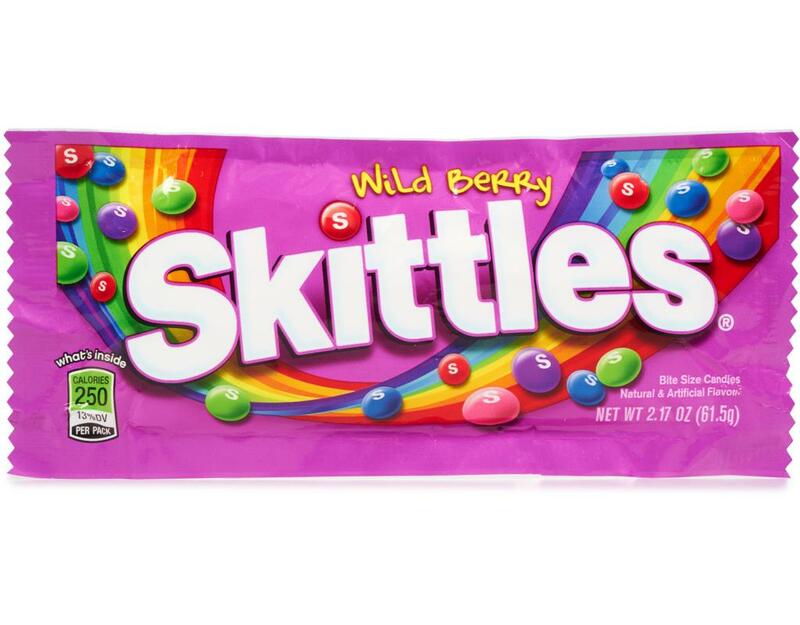 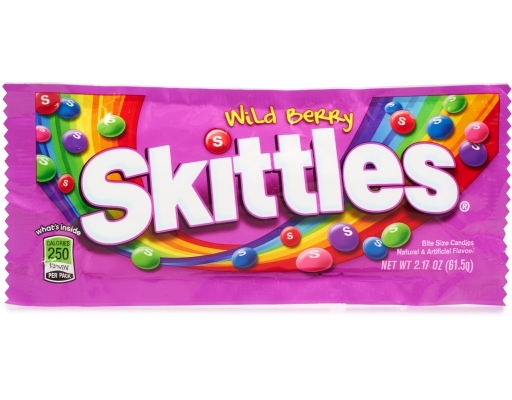 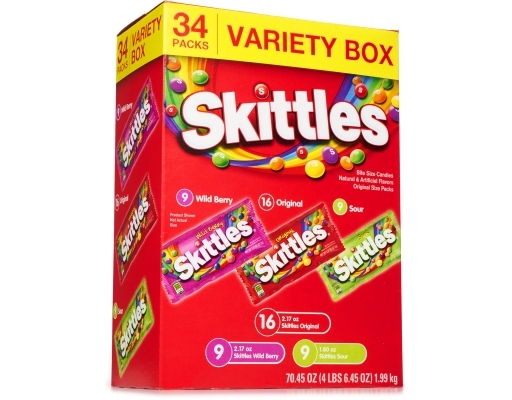 Enjoy this variety pack, including a mix of fruity flavors, such as Wild Berry and Sours to excite the taste buds.